After an abusive childhood, a lifetime of pain, mental health and financial problems, then suffering illness and disability and never having a days luck in my life I discovered The Secret and decided I was not a loser I was a winner. I decided to win the lottery, buy my own home and pay off my debts. I did win the lottery, it was three pounds, not the jackpot I expected but I was so grateful as I’d never won anything in my life, so happy and grateful I won again and again and within a couple of years I was winning on the lottery every week. Now I win three times a week or more on different lotteries and on scratch cards in between. 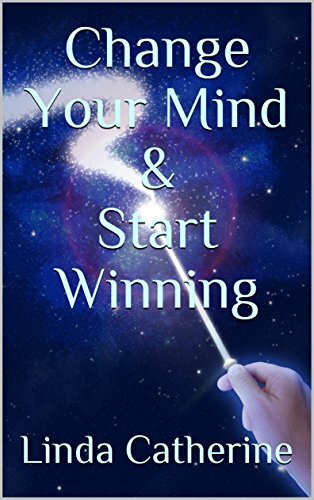 This book is about what I think and believe in, how my mind works and the magic I perform every day not only on the lottery but also the many other things I attract and how I do it, and more importantly how you can do it too. The universe is on your side and you can be just as lucky if you would only change your mind and believe it. A clairvoyant once said, your story has to be told, but little did I know just how magical my story was about to become from a rotten start to a fairy tale ending, although I’m not quite there yet I know where I’m heading… for the stars, and you can join me on this incredible journey so we can make a difference together. Let me show you how to harness your own power and change your life. My miracle is the amount of times I win the lottery, the fact that I can win on anything just using the power of my incredible mind.